ThinkGeek.com is selling very useful replicas of classic controllers that can be used on your PC. 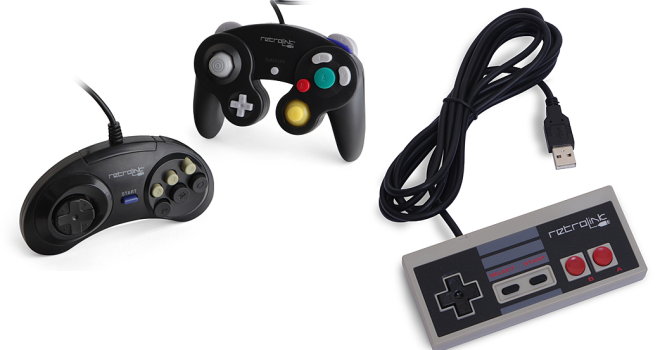 Ranging from only $15 – $20, you can purchase these awesome controllers modeled after GamceCube, N64, NES, SNES, SEGA Genesis and even Atari. However, PS styled controllers aren’t included but that’s most likely because everyone, including Logitech, already copies that controller style anyway, and they’re usually very easy to find. We can only hope that these are also sturdy and long lasting, as these will definitely be handy for PC gamer. The GameCube duplicate should especially be useful to those who enjoy playing Smash Bros. Brawl in 1080p on the PC! Have you tried them yet? And if so, let us know your opinion on them!